This is a wonderful historic hotel that has been renovated. It was beautifully done. Modern aminities with the historic charm. Customer service is stellar. Would recommend this as a place to stay. Loved our time here. Will come back again. Historic Hotel and super friendly staff. I will stay here again. This will be a definite repeat next time we are in the area. The restaurant is consistently good with an excellent menu/wine list and a comfortable lounge for afterward. There is also a Starbucks in the lobby. Rooms are large and very comfortable, also well-maintained. Price is reasonable. Lovely old hotel having wonderful staff and charming decor. Decent prices, wonderful complimentary breakfast. Why would anyone coming to Parkersburg stay anywhere else? Wonderful place in downtown Parkersburg. Rooms nicely renovated, great bar and restaurant area. Priced competitively with the franchise places on the interstate ( only a few minutes from I 77) and so much of a better experience. Highly recommend it - will definately stay there whenever we are in the area. Very nice place, clean and friendly. We had a good time. Great food! Pleasant staff. Had the feel of back in the day when unique and quality experience of fine food and ambience was the experience of such a hotel. 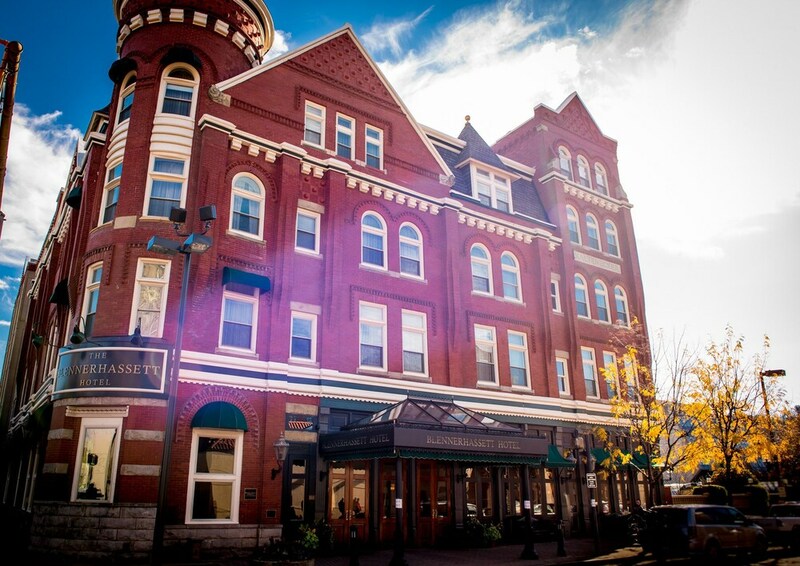 The Blennerhassett Hotel places you next to Smoot Theater and within a 5-minute walk of Oil and Gas Museum. This 3.5-star hotel has 89 rooms and welcomes guests with free breakfast, a 24-hour fitness center, and free in-room WiFi. Free buffet breakfast is served each morning from 6:30 AM to 9:30 AM. In addition to a meal at the onsite restaurant, you can also enjoy a drink at the bar/lounge. Savor a meal from the privacy of your room with room service, or get a pick-me-up at the coffee shop/café. A flat-screen TV comes with satellite channels, and guests can stay connected with free WiFi. Beds sport premium bedding and the bathroom offers free toiletries and bathrobes. Other standard amenities include a coffee maker, free newspapers, and free long-distance calls. At The Blennerhassett Hotel, guests have access to a 24-hour fitness center, free WiFi in public areas, and conference space. There's free valet parking if you drive. The 24-hour front desk has staff standing by to help with luggage storage, dry cleaning/laundry, and concierge services. Other amenities at this historic hotel include a 24-hour business center, a library, and free newspapers. Free buffet breakfast is served daily from 6:30 AM to 9:30 AM. Recreation features at The Blennerhassett Hotel include a 24-hour fitness center. The preferred airport is Parkersburg, WV (PKB-Mid-Ohio Valley Regional): 18-min drive, 12.5 mi/20.2 km. Adorable Cabin In The Woods Resort, Perfect For Couple Or Friend Getaways!